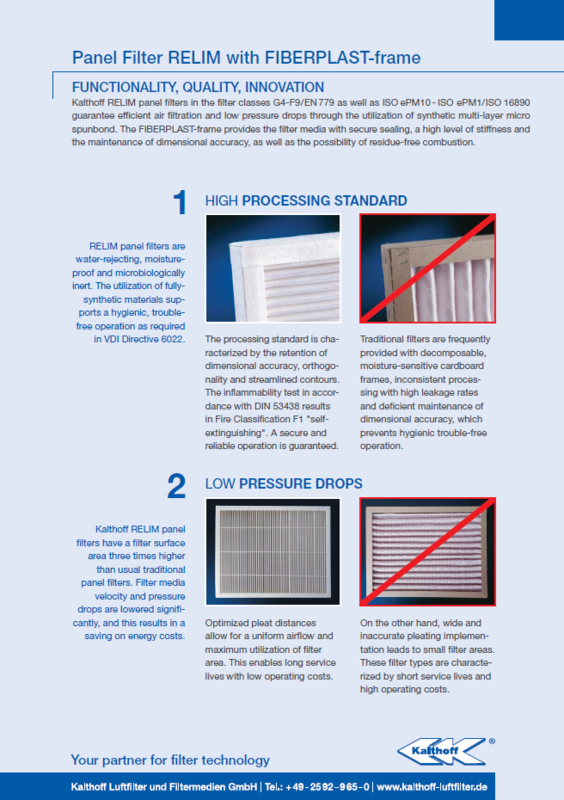 Kalthoff panel filters consist of a pleated, or also flat-laying, filter media in a frame. The synthetic nonwoven processed in the panel filters are manufactured from polyolefins, which are largely mechanical and chemically inert, and thus suited for a FDA and GMP-conforming production of pharmaceuticals, as well as foodstuffs. 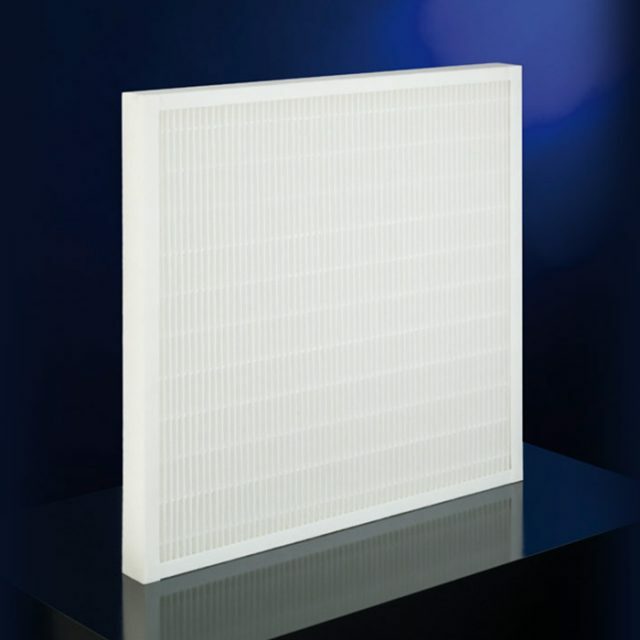 The utilisation of the Kalthoff FIBERPLAST frame enables a fully-synthetic design, whereby the filter is hygienic and moisture-proof, as well as fully combustible. 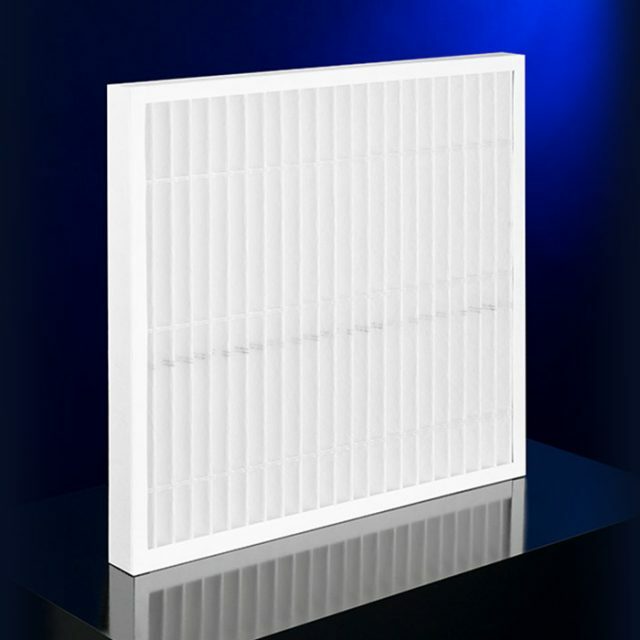 The filters are effective, long-lasting and easy to handle. As a result of low installation depths, they can be used in conditions where space is restricted, whereby a high level of spatial use is enabled. This is particularly desirable in case of decentralised systems, as well as process-air systems, so that they are increasingly employed in these settings. 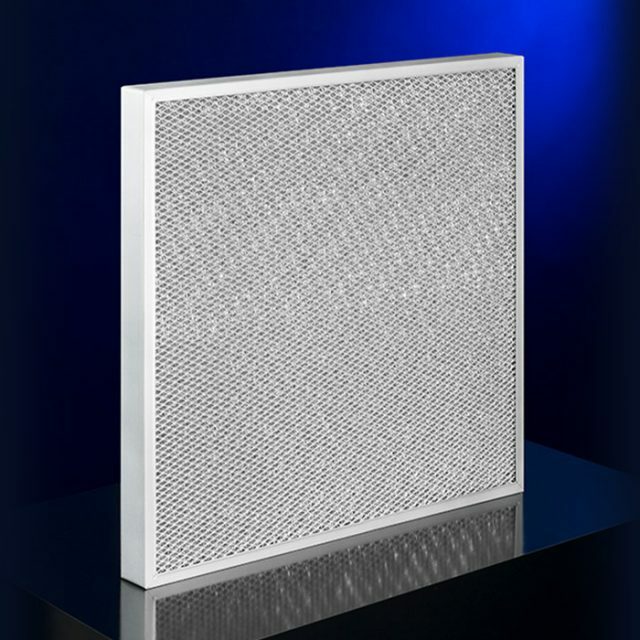 Our panel filters meet the current international Standard DIN EN ISO 16890.